Robustness, if the service is down the messages are queued up in the MSMQ queue and are consumed by the service again when it’s available. The service is hosted in IIS and WAS (Windows Process Activation Service) is used for listening for messages in the queue. 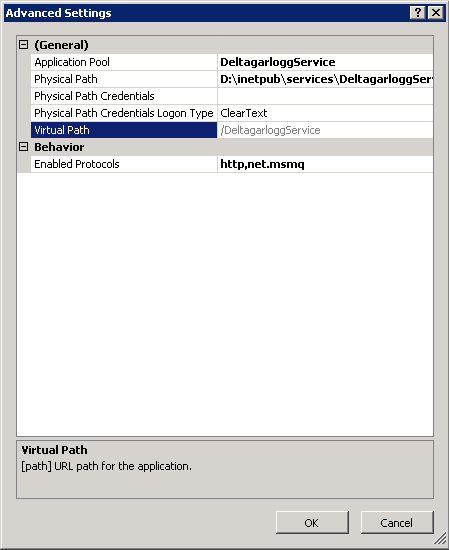 When a message is detected, WAS starts the IIS application containing the service that should receive the message. The service then consumes the message using the netMsmqBinding and processes it. Note: Throttling is available in all Wcf bindings, not just the netMsmqBinding. Create queue – Wcf relies on that the necessary queues exist. A good pattern is to check for their existence on application startup and create then if they’re missing. Are the Message Queueing and Net Msmq Listener Adapter services running? 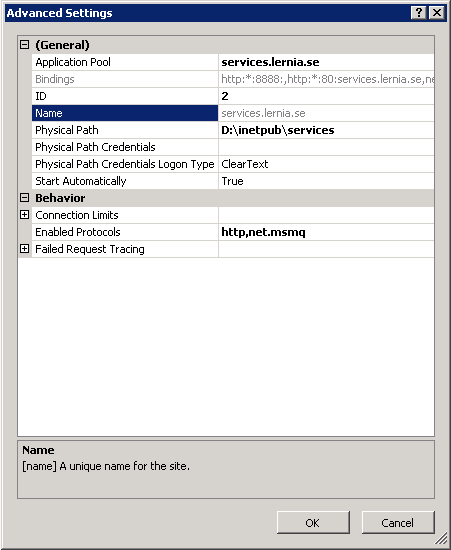 net.msmq protocol enable on IIS site and application? Messages still in queue? If empty: check dead-letter queues and outgoing queues. Browse to the service’s svc file. If that consumes the messages it’s a WAS problem. 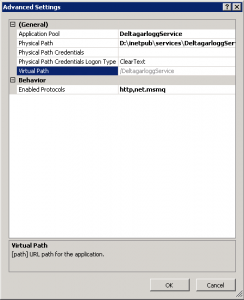 If the service was hosted in Windows Server AppFabric, then see if it has any logged errors. For more tips, Tom Hollander have written great blog posts about queued service here.